While Singapore itself reminds you of a happening and vibrant ambience, there are so many places to explore that no matter the duration of your holiday, you will always crave for a longer vacay in this serene nation. When it comes to temples, this land has several belonging to different faiths and beliefs. Whether it’s about the stunning work of architecture completed with unique designs and a glorious past associated with them, or simply having some quiet time in peace to soak in the blessed vibes of the temples, you ought to visit them soon! These places to visit near Buddha Tooth Relic Temple enlisted below will surely help you on your spiritual journey here! Singapore is mostly known to have many expensive experience on board, but that’s not entirely true as there are several backpacking trips being introduced lately which include a budget friendly stay too! With this, a soothing and comfortable stay is surely possible in this land. You can also tour about the famous tourist attractions including the ones of Sentosa Island and Marina Bay Sands which offers extravagant services and mesmerizing views from above! 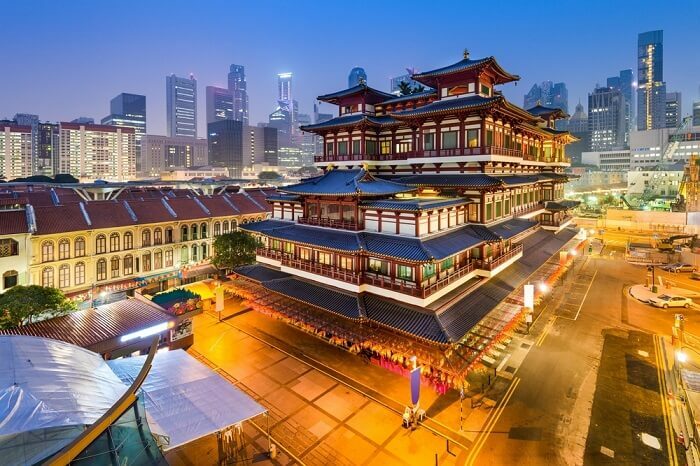 If you’re planning to visit the Buddha Tooth Relic Temple in Singapore on your next trip, make sure you don’t miss out on any of the other renowned places around. 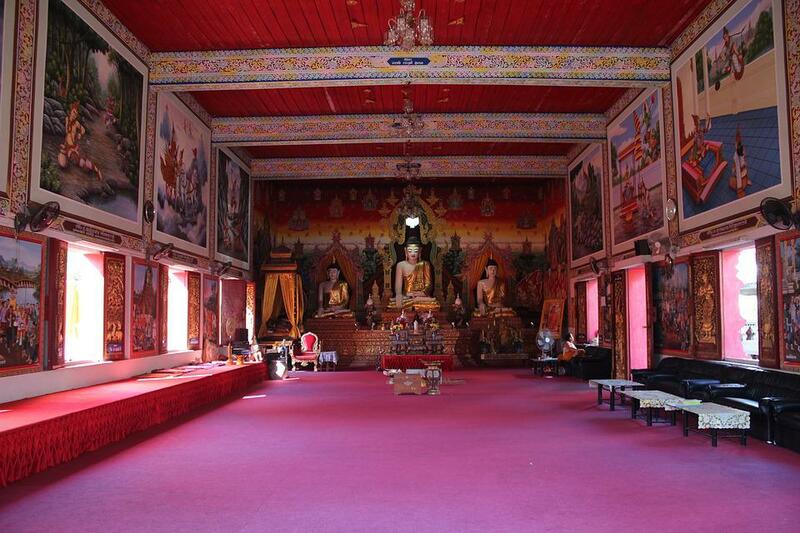 It was built by a Burmese expatriate to serve the overseas Burmese Buddhist community and is, therefore, also known as the Burmese Buddhist Temple. It was previously located in Little India, off Serangoon Road, and was relocated to its current location in 1991. It is a multi-storied building, the interiors of which are embellished with paintings depicting events in Buddha’s life and on the third story is a standing gold image of Buddha. Surround by a halo of colorful lights, is a 3.3m tall Buddha statue built from a 10-ton block of marble. 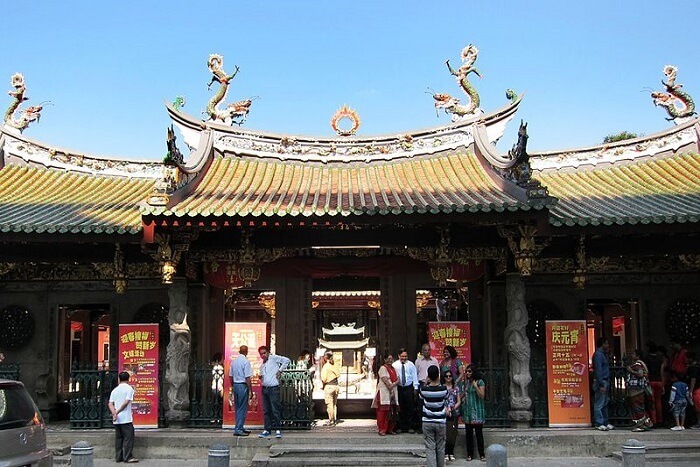 One of the most charming and beautiful temples in Singapore, Thian Hock Keng Temple was constructed back in 1842. The temple was built as a dedication to Ma Zu, the Taoist Sea Goddess, making it a unique gem when it comes to Taoist temples in Singapore. Designed in a fabulous Chinese architecture, history and customs associated with this temple will surely be worth on your trip to Singapore. 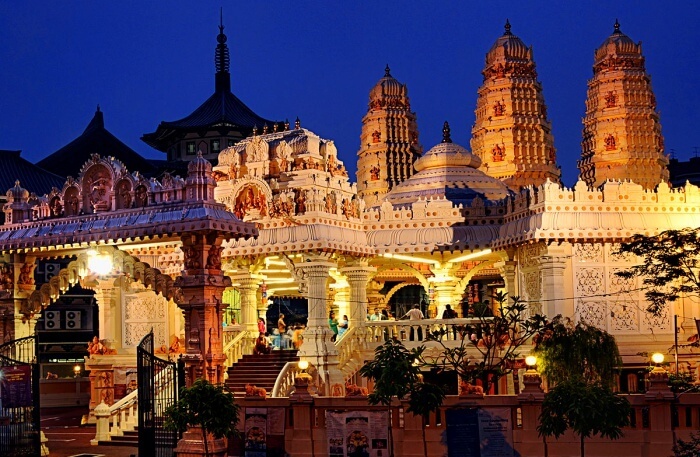 Also known as the Chettiar’s temple, Sri Thendayuthapani Temple is amongst the significant monuments of the Hindu community in Singapore. Built by the Nattukottai Chettiar community, this temple is a dedication to Lord Subramaniam and tourists can visit this temple during the time of Thaipusam festival to witness the festive vibes around. If this is what you had in mind, then we say its a sign! 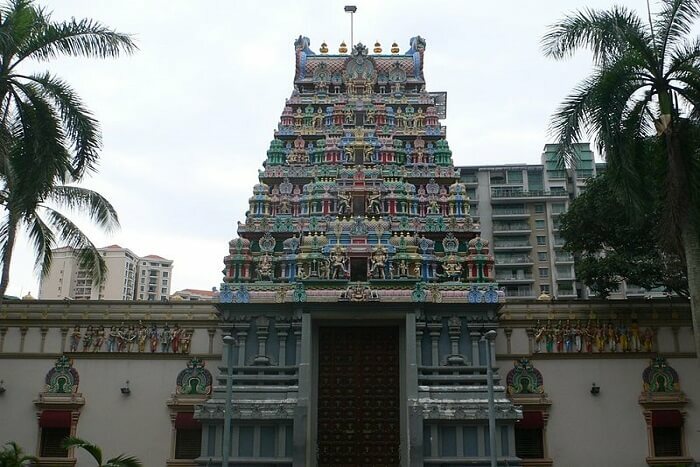 Be it any temple in Singapore a soothing quiet time is guaranteed to rejuvenate your senses and you can explore more places around the popular temples too. With a place as flexible and efficient as Singapore, you surely wouldn’t want to miss out on any major things to do around! So, what are you waiting for? Plan a trip to Singapore for an extravagant vacation experience amid the charming vibes of the country and tag along your folks for a topnotch holiday!